Lisa graduated from the University of Strathclyde in 2004 with a BSc (Hons) in Prosthetics and Orthotics. Her first post graduate role was with the Doncaster and Bassetlaw Hospitals NHS Foundation Trust where she acquired strong and comprehensive work experience within all types of Orthotic clinics. Lisa is an Associate Clinical Specialist with Technology in Motion. Still at Doncaster and Bassetlaw hospital, Lisa was later promoted to a Senior Orthotist post in the Trust taking the lead in the majority of paediatric clinic. In 2010, Lisa took the position of Senior Orthotist at the Robert Jones and Agnes Hunt Orthopaedic NHS Trust in Oswestry working within the clinics of the diabetic foot team. 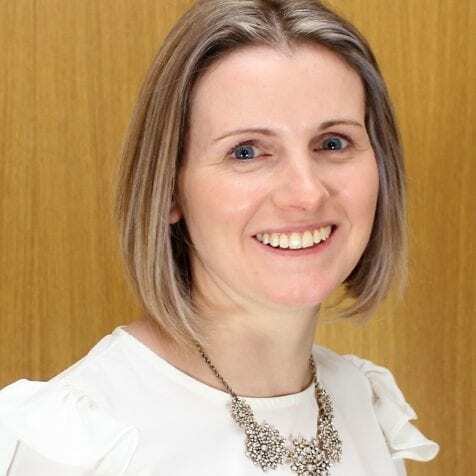 In 2013 Lisa moved to Northern Ireland with her husband and currently works as an Orthotist part time within an NHS setting in various locations. Her work is mainly with children in paediatric clinics and includes the use of Lycra orthoses for children who have neuromuscular conditions, she also see patients who require the orthotic aspects of diabetic foot care. Lisa has always recognised the value of giving to her profession and for five years was an active member of the British Association of Prosthetists and Orthotists (BAPO) Conference Committee where she was for two years Vice Chair of the Committee. Lisa is a mum to two young girls who like to keep her busy, she is a member of a running club and likes to get out running when she can.